Cisco Systems is an international telecoms company that has been operating since 1984, with a huge range of clients across the world. Headquartered in the US, Cisco has a UK presence that rivals even the largest competitors. 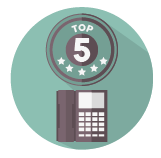 Cisco phone systems are among the most popular and advanced available today - the company has gone to great lengths to ensure that its products are top-quality, and their clients and customers can feel more than safe in the knowledge that they are receiving the very best. From the beginning, Cisco’s aim was to provide their customers with state-of-the-art technology that surpasses any of their competitors’ offers - this goal has been instrumental in their innovation and, as a result, Cisco’s phone systems have dominated the industry for over 30 years. Complete the form at the top of this page if the type of telephone you need isn't included above. Cisco’s telephone systems are among the most advanced in the industry because the company is committed to innovating and adding efficiency to all networking and communication processes. To this end, Cisco has continued to develop inline with new forms of communication, ensuring that they stay aware of the newest products and technologies. As well as maintaining their position as the foremost telephone systems manufacturer, Cisco have also ensured that their mobile communications are cutting-edge, with collaboration solutions for offices and businesses developed to exceptionally high standards. Cisco has developed worldwide, their range of products and technologies has spread too, with a range of telephone system options available to suit every business, no matter their size or industry. Now almost ubiquitous, Cisco phone systems are used in offices across the UK, with a huge level of success and satisfaction. Their tools and features offer efficiency and functionality that is simply unmatched across the industry, with new equipment being developed all of the time to help small, medium and large businesses to succeed every day. Cisco’s range of equipment is varied, with a huge selection of options, with everything from PBX rack servers to their Business Edition software platforms. As well as these more advanced technologies, they also offer a range of desktop phones, accessories and dashboards, which can be used in every business to significantly improve workloads in every way. Cisco’s unified communications platforms and telephone systems are almost impossible to beat, no matter what you need. With a company like this, you can be sure that the products you receive will be of the highest possible calibre, with every function and feature that you require built in. 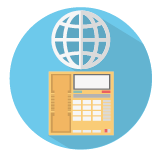 In this section, we take a look at and compare some of Cisco’s best phone systems, as well as a range of accessories that can be used by your business to add significant efficiency to your operations. For more options and information about Cisco phone systems, you should speak to suppliers at once - complete the form at the top of the page to do so now. 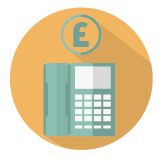 This table directly compare some of the cheaper Cisco phones available in the UK - these options all cost less than £100 and offer a range of functions that would be perfect for any small business.